“The hardest thing in the world to understand is the income tax,” said physicist and occasional comedian Albert Einstein. For taxpayers, April 15th has become the new Friday the 13th. Scary stuff if you are not prepared. Thankfully, app creators are making it easier to file and organize your taxes in a stress free, time saving way. While online tax file services like H&R Block and Tax Slayer (which sounds awesome by the way, “BRB about to slay some taxes!”) make it easy to do your own taxes at home, there’s plenty of helpful programs to get the most out of your return. Here’s the 10 best free and least expensive tax preparation apps to help simplify this tax season. 1. Mint – Free for iPhone and Android. You can’t talk money apps without highlighting Mint. Over 10 million people trust Mint to handle and track their finances, purchases, and withdrawals. Manage all your money in one place and see where the spending goes and how to save more. Mint creates a customized budget based on your actual spending. Mint and TurboTax teamed up to make tax time effortless. Their tax deduction tagging and automatic spending categorization helps find every little deduction. The Mint IRA advisor lets you open an IRA so you can deduct up to $5000 on this year’s taxes. Evernote is my life, my love, my everything. If you aren’t using Evernote as your primary notetaker, it’s time to upgrade. You can sync, save, and share all your notes across all devices. If you have a scanner, connect it to Evernote to record and organize pay stubs, bank statements, investment files, and mortgage documents. If you need help finding a document or receipt, Evernote has a wonderful search feature that crawls your entire account. The search feature even works on scanned pictures! Dictionary of Tax Terms is essentially “Taxes for Dummies”. Either I’m not a smart guy, or the IRS is purposely trying to confuse me with their endless forms and mumbo-jumbo legal jargon. This helps immensely, but is it worth $4 when Google is free? 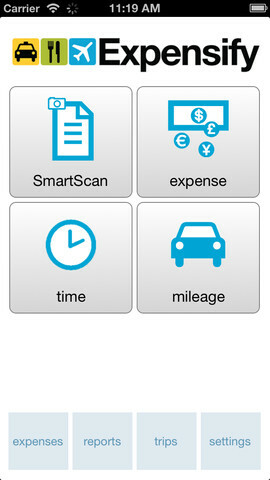 Business trip expenses are a breeze as you can file and track deductible products and services like meals and mileage. Use Expensify to sync with your credit card and bank account to track purchases as they happen. Every boy and every girl, Slice up your life! Easily find tax deductible receipts as Slice scans Gmail (and other mailboxes) for internet receipts and gives you an entire overview of your purchasing history. Shoeboxed is yet another receipt organizer for the iPhone and Android. No more keeping track of those pesky little papers. Shoeboxed allows you to save an IRS-accepted image of every receipt. Export receipts to Evernote or any popular tax program. A free account lets you store 5 documents a month, while more storage starts at $10. iDonatedIt tracks the date you donated items to a charity, what charity you donated items to, and the market value of those items. Take pictures of your donation and include it with the document. 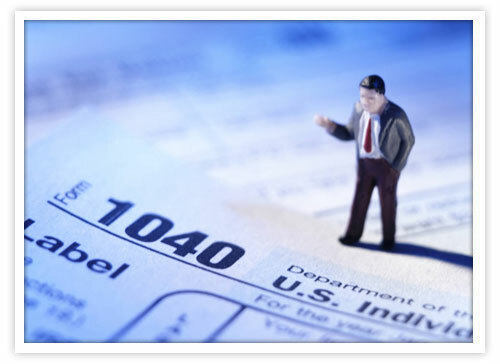 iDonatedIt was created by experienced certified public accountants familiar with tax law and tax preparation issues. You have hundreds, maybe thousands of tax questions. Ask a CPA has the answers. New questions and answers are added every day without the need for an update. If you can’t find your answer, ask the question, and receive a free response soon. Bloomberg BNA gives you access to current US tax rates and schedules, while also providing retroactive rates from 2011. This app is perfect for checking a quick reference or when you’re in a meeting with clients. 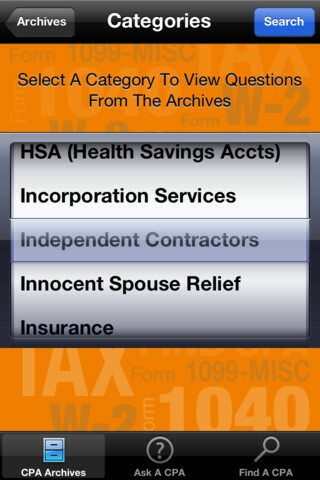 IRS2Go is the official app of the Internal Revenue Service. Never say (or scream) “Where’s my tax refund?” again. Wait about 5 days after filing your taxes to track when you’ll receive that sweet return. Are we missing any tax apps you enjoy? Share them in the comments below. Jared S. is HostDime’s Content Marketer. Add him on Twitter. Well written blog post about Tax. Thank you for sharing. EverTrack GPS Tracker app from https://corvusgps.com is also can be useful for delivery companies. It’s not for tax deduction, but a good tool for fleet management. Great apps thanks i ‘ll use some of them on my iphone5 phone as soon as possible. Thanks for the great list, i will try irs2go, so far i am using only vezma as my mileage/expense tracking application and it works great in helping me save taxes through their report generation which helps me claim tax deductions. You can take a look at their website http://www.vezma.com for more, Hope this helps those looking for a mileage app that helps tracking accurate mileage and also generate reports to claim for tax deduction.